Oh, ok, wow. This is just beautiful. Worshipful. Anointed. Merry Christmas Eve, and thank you for this gift. Such truth - and beautiful. Merry Christmas, my dearest. That is a really neat graphic! Thanks for sharing with us, and I pray that you have a blessed Christmas! Beautiful and filled with truth, the Truth. Merry Christmas and God bless you! 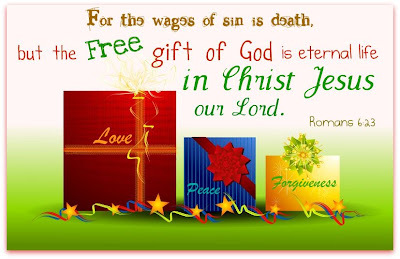 May all our homes be filled with those wonderful gifts for the new year to come. such vivid colors, lovely!!!! I LOVE this gift, Peejers! Merry Christmas. Hope you all have a wonderful day together.